A strange animal disease has broken out in Southern Province, provincial Veterinary Officer Dr Muzumbwe Kanemanema has confirmed. Dr Kanemanema says the highly contagious disease has been spotted in four districts namely; Monze, Pemba, Gwembe and Mazabuka. ZANIS reports that Kanemanema, revealed the disease outbreak when he addressed Mazabuka based farmers during an emergency meeting. The meeting which drew participation from commercial farmers was called to possibly set up an emergency task force committee that will then help the department of veterinary to urgently contain the outbreak of the disease. Kanemanema informed the meeting that the disease that broke out a few weeks ago in Lufwenuka area of Monze District is spreading like wild fire. He said the disease has rapidly spread to the neighbouring districts in a very short period of time. 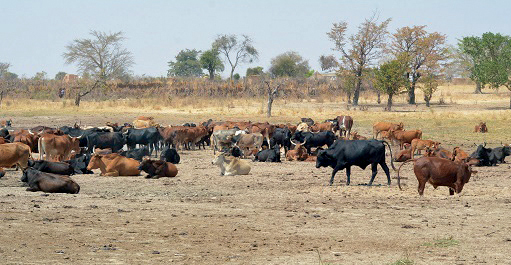 Kanemanema who could not state the precise number of cattle which has so far died, said more than 20,000 animals have been affected. He however, assured that Government has quickly responded to the disease outbreak and has urgently sent 100,000 doses of the vaccines to contain the disease. The Provincial Veterinary Officer said officers from had been dispatched to four affected districts and were carrying out massive vaccinations. And speaking earlier, Mazabuka District Commercial farmers Association Chairperson Ian Robinson, said his association was ready to donate funds and other resources available in order to urgently fight the disease.